Controversies, suspension and criticism from many corners, but nothing stopped this teenager from clearing his class 12 examination with a ‘surprising’ 91.2 per cent. He along, with his female friend from the same school, was suspended by the school authorities for hugging in public. When the class 12 results came out on Saturday, the boy was jubilant. The school had later revoked the disciplinary action and allowed the boy to write his board examination. The girl, one year junior to him, was also ‘cleared’ of her crime and still continuing in the same school, the boy said. “At the end of the day, I should say, everything was made possible by friends and family. They were my pillars of support, especially my mother. From last July, till December, my future was hanging in the balance. I could overcome that situation only with my family and friends,” he says. The boy had to rely on tuition and notes from his friends to study, as he could not attend the regular classes, though he wrote with the label of the same school. “I had tuition for economics and accountancy. Though economics was my favourite subject, it was a bit tough in the beginning. But, as a surprise, I scored maximum in that subject – 99. I want to study law and become an advocate like my mother. She is my role model,” he adds. 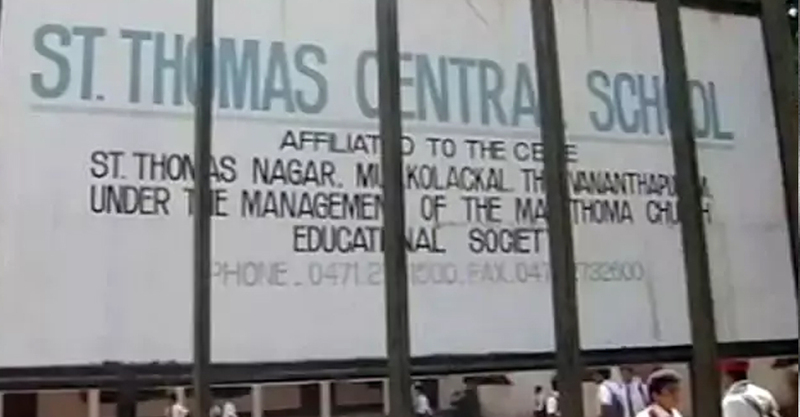 The Thiruvananthapuram school had hit headlines for the disciplinary action, and later, the high court also upheld the suspension. The issues propped after the girl took part in a cultural programme in the school and the boy congratulated her with a hug after the event. The family moved the Kerala State Commission for Protection of Child Rights challenging the decision and the panel then directed the school authorities to permit him to attend classes. However, the church-run school management, moved the Kerala High court which upheld the institution’s decision.